The neighborhood in which most "HOUSELESS" shelters operate in seems to either accept a shelter's existence there or is against it. 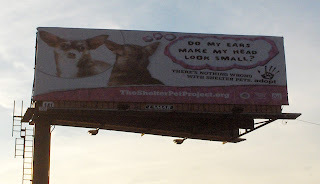 Yes, problems do exist with shelters. This may be due in part because many of those who make up "The HOUSELESS" population are with spiritual and/or mental CORRUPTION. The illnesses differ from human to human. So to, many times the staff are not properly trained and/or truly familiar with "The HOUSELESS". Then again, there are those who fall into "The HOUSELESS" population due to the profit/gain/control of others. The US spends way to much money on vanity, shelters, well-being of pets, than it should while there are humans who struggle each day to rest easy. This is due to those who favour profit/gain/control over what is naturally correct. Pets do not and can not take care of humans, it is not natural that way, so please STOP taking part in trying to alter our Creators' Laws. It is a spiritually and/or mentally CORRUPT society that favours a pet shelter over a shelter for humans in their neighborhood. This does happen, but should it? Bikes are a common way that many of "The Houseless" get around. GREEN BAY - There is a new focus in Green Bay on homelessness. A special meeting Monday night addressed concerns about St. John's homeless shelter near downtown. On Tuesday night, Green Bay's city council discussed forming a task force to deal with homeless issues even though many at last night's meeting agreed St. John's is doing the best it can. Joshua Debot spends many of his nights at St. John's homeless shelter. “There's really no other options,” said Debot. Debot has a place he can go during the day, but that isn't the case for many of the other adults St Johns takes in overnight. “It makes it very difficult on a lot of people, if not every resident here,” said Debot. He says it is part of the reason police are claiming more calls are being made about St. John's residents. Green Bay Police attribute 30 calls to St. Johns since it opened November 1st. Only one resulted in a citation, but police still say the amount of calls is too high. “There's always something going on in the community and the officers time is very valuable,” said Lt. Kevin Warych with the Green Bay Police Department. St. John's residents and staff say a daytime shelter would help. City leaders want to take a closer look at the issue. They are working with Lutheran Social Services on a possible daytime shelter. “We want to see a plan and we’re willing to put some money into it, but again, we want to see more participation in a sustainable plan that cares for the needs of these people 24 hours a day,” said Jim Schmitt, Green Bay’s mayor. St. Johns is currently on pace to serve more than the 304 people it served last winter. Schmitt says St. Johns has sent in a proposal to allow 84 residents to stay at its shelter, up from its current total of 64. Other homeless services are also seeing increased demand. Freedom House has a waiting list of 73 families and House of Hope has a list of 18 families. The Green Bay School District also identifies 1 in 27 students as being homeless. Homeless in College - "Houseless", not homeless!